You'll get your share of the loot, but it won't be easy if Smelly Sam has something to say about it. You'll need to man the high pressure water cannons and defeat that evil pirate in order to declare victory! Perfect for ages 3-10 and a treat for the whole family. 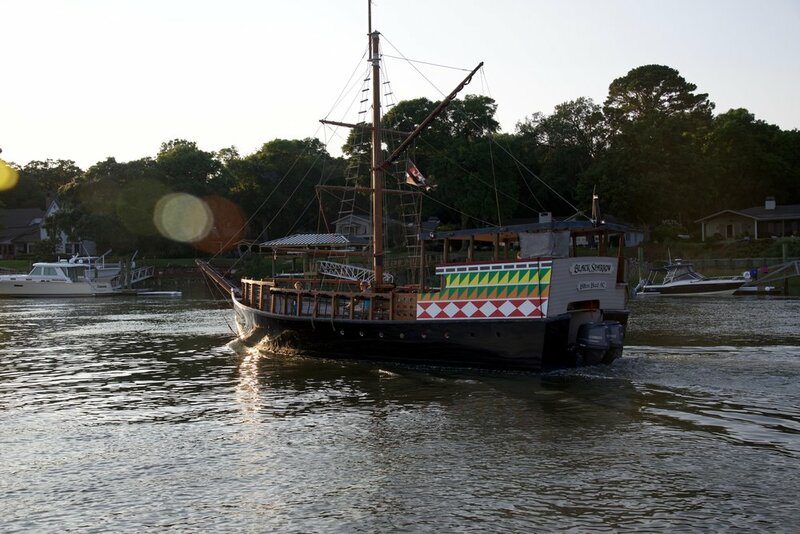 The infamous Smelly Sam is Hilton Heads most favorite pirate and also our nemesis. He's always looking to get the treasure for himself and he hates to share. 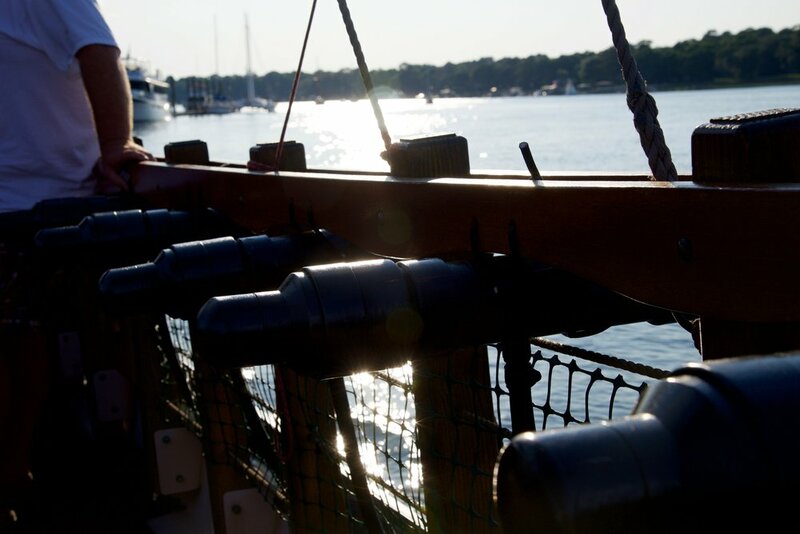 As crew of the Black Sparrow, it's your job to defeat him, but don't worry, we're the only pirate ship plying these waters equipped with high pressure water cannons! The whole point of being a pirate is enjoying the ride and coming home with the loot. It all starts the moment you arrive with face-painting, a pirate tattoo, some pirate garb and learning to talk like a pirate. But that's just the start! Once we defeat Smelly Sam we always find the treasure, there's gold coins, jewels and always some surprises! 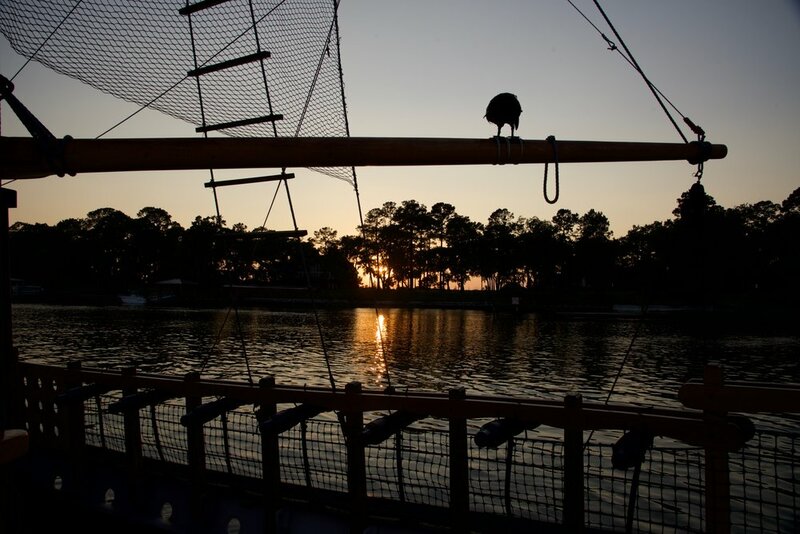 Reserving an Adventure with Pirates HHI is simple! Choose a date for your cruise from the calendar below. Follow the instructions to make a reservation. 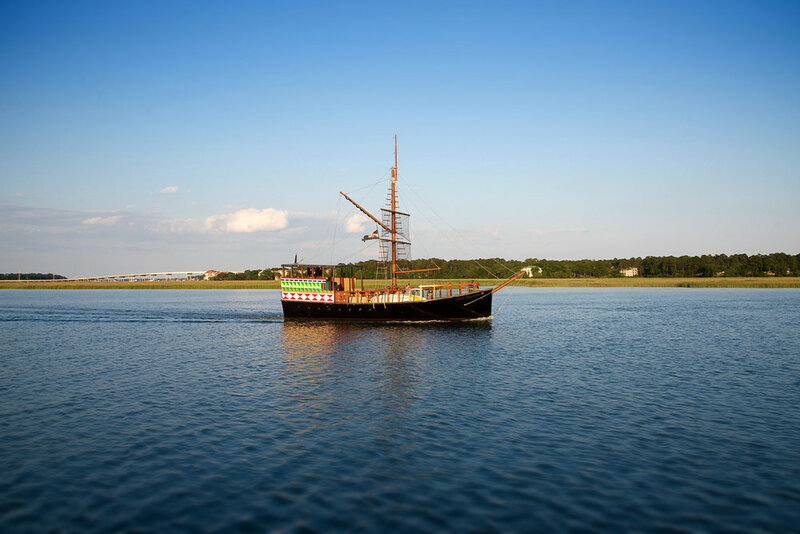 Want to gift a pirate adventure? Adults $30 Kids 2-12 $30 Under 2 ride free but still need a ticket. The Coast Gaurd determines how many people a pirate ship can hold and they don't care about the scallywags age! You can cancel up to 24 hours before your cruise departure time. Within 24 hours we do not accept cancellations, no exceptions. We apologize for such a strict policy as we know unexpected things always pop up with children. Just like a concert or a show, those seats have been held for you and we cannot refill them without adequate notice. The captain may decide to cancel at any time due to weather or other concerns. In the event we cancel a trip we will do our best to reschedule you at your convenience or if you prefer we will refund your ticket. 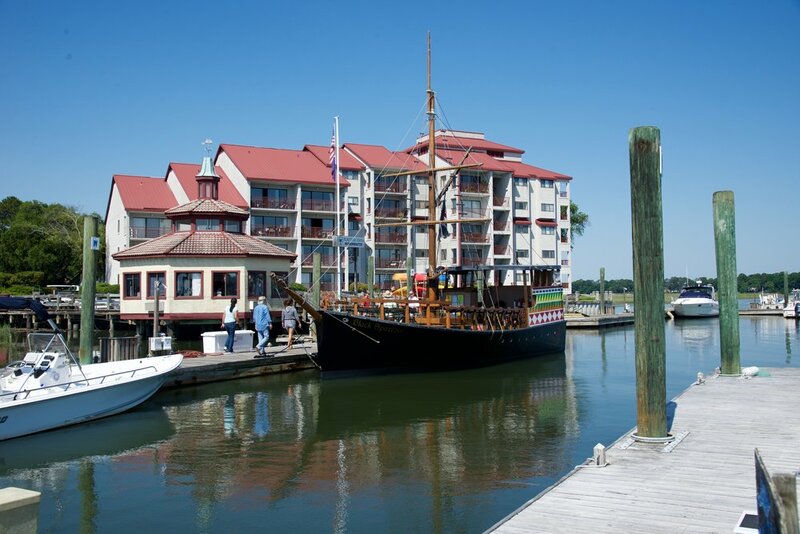 There's no restrooms on a pirate ship, but there are bathrooms at the dock. Make sure to go before you come. That's an order! Seriously, there's usually parking close by, but it can get crowded. Show up late and your little pirate might not have time for tattoos or face paint, and let's face it, what little pirate wants to be caught out at sea with no face paint. Thar needs to be at least one "responsible" person on board with each group, no exceptions. More 5 star reviews than any other attraction! 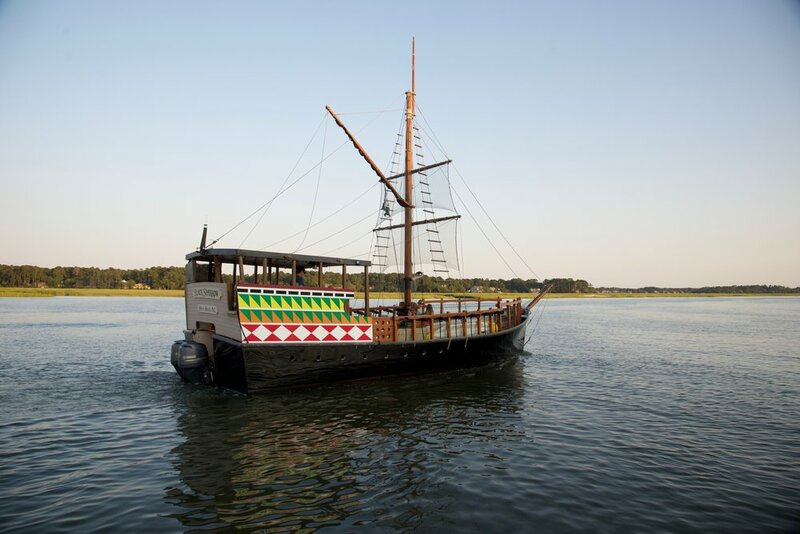 Rated #1 attraction on Hilton Head 3 years in a row by TripAdvisor members!! 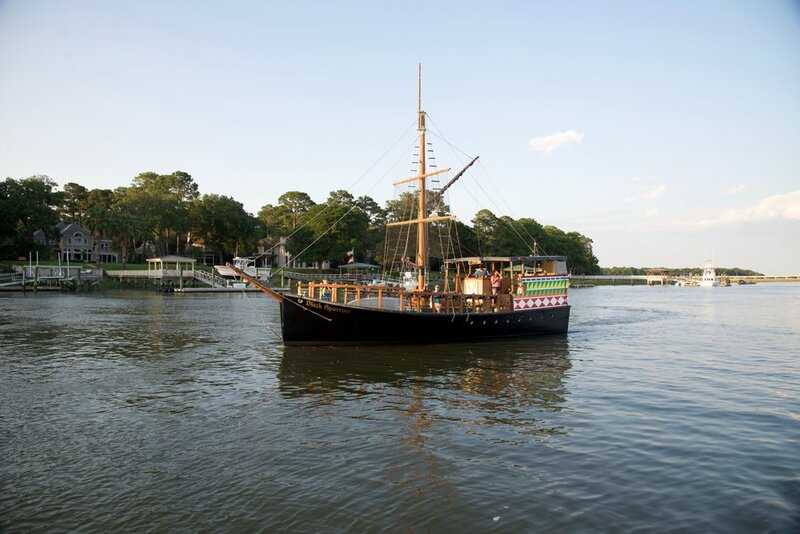 Need more information or want to sign up and find out more about our amazing pirate ship the "Black Sparrow". 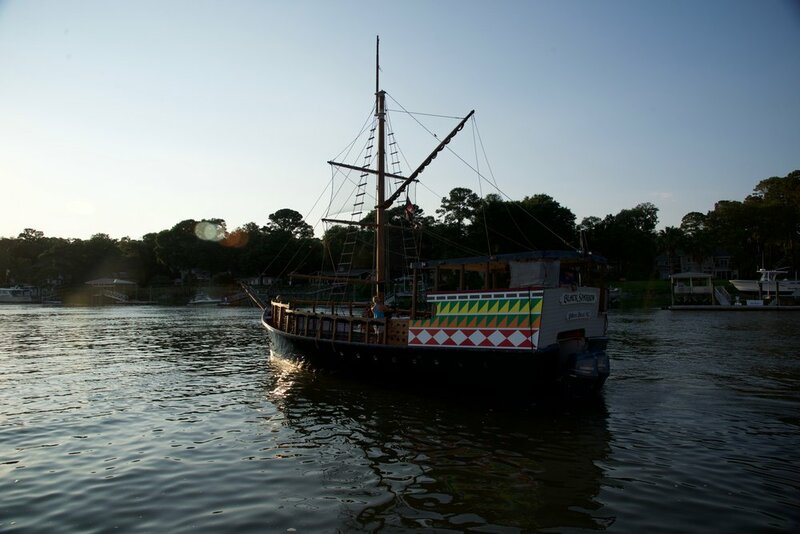 Book your pirate adventure online!